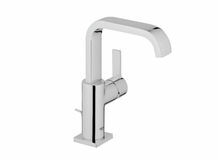 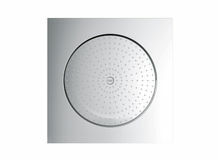 GROHE SPA® introduces the F-digital Deluxe, a super-slim and intuitive ambient controller that orchestrates our new collection of products designed to stimulate the senses. 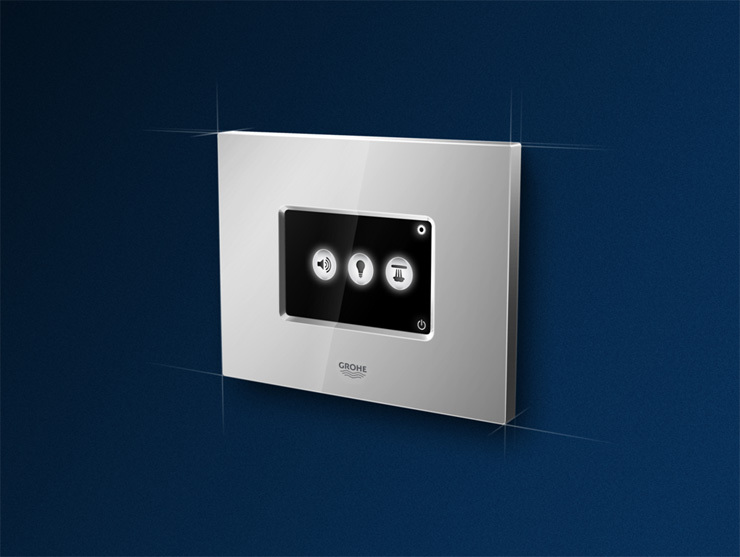 By touching the “dry zone” controller you can now choose your own combination of lighting, sound and steam – three vital elements that have a positive effect on our physical, emotional and spiritual wellbeing. 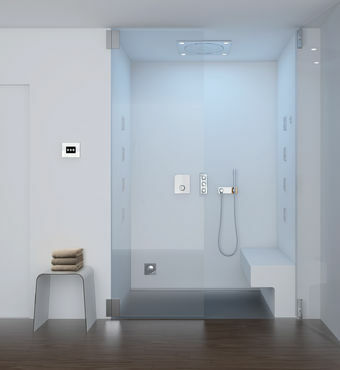 GROHE’s vision of transforming the bathroom from a rational space for cleaning and grooming into an inspiring and emotional Home SPA is now a reality. 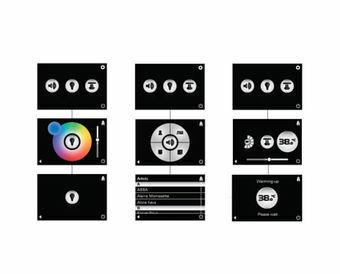 Flat and Flexible design system based on 5” squares. 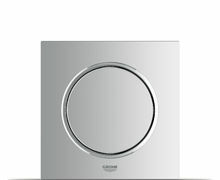 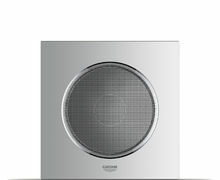 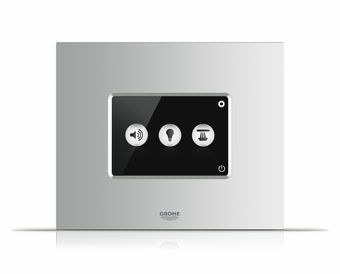 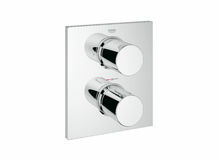 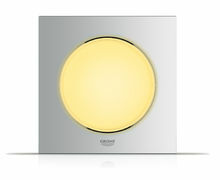 GROHE F-digital App to control sound, light and steam.